Professional Supplement Center now carries Dr. Hauschka, a line of natural beauty products that take a holistic approach to beautiful skin. 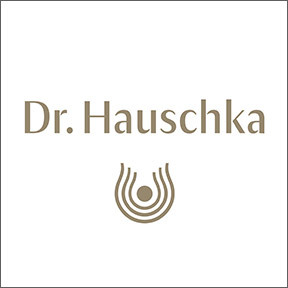 Established in 1967, for almost 50 years Dr. Hauschka’s founding mission remains; to meet the strongest criteria available for natural and organic ingredients that support the long-term health of the skin, the planet and all living creatures. These 100% natural skin care products, based on the relationship of skin to overall health, are designed with the purest and highest quality plant and mineral ingredients, carefully chosen for efficacy and synergistic effects. All products are certified by NATRUE, a non-profit, international association with the strongest criteria for natural and organic ingredients in personal care products as verified by an independent certifier. NATRUE standards include environmentally responsible harvesting, non-toxic processing of raw materials, socially responsible business practices, and the exclusion of petroleum-based synthetics and GMO ingredients. Plant ingredient origins are extensively researched to ensure ecologically and ethically sound sourcing. All nature-derived raw materials are harvested at their peak for maximum benefits, and are minimally processed to maintain the vibrancy of the botanicals. Dr. Hauschka’s personal care formulations are vegan, certified organic, and are gluten, preservative, synthetic ingredient, and cruelty free. Cleansing Cream: SAVE 20% Recommended for all skin types and conditions, this facial cream gently, but deeply cleanses, exfoliates, fortifies and refreshes the skin, supporting the natural protective function of the skin and minimizing the appearance of pores, resulting in a radiant, healthy glow. Dermatologically tested for sensitive skin, the botanical and essential oil ingredients include calendula, chamomile, anthyllis and sweet almond seed meal. Intensive Treatment for Menopausal Skin: SAVE 20% Specifically formulated to revitalize skin that has lost its natural balance, this spray formulation supports the skin’s natural renewal processes and diminishes the appearance of redness, blotchiness and irregular pigmentation to promote a calm, even complexion. For best results, apply morning and night for a full 28 days; the length of the skin cell renewal process. Facial Toner: SAVE 20% Use this toner to fortify and enliven normal, sensitive, or dry mature skin. Botanical extracts and witch hazel support elasticity and the skin’s natural cleansing and renewal processes. Facial Toner refines pores, helps to balance and tone, and leaves skin healthy and radiant. Eye Revive: SAVE 20% To soothe tired eyes and visibly diminish redness and puffiness, try Eye Revive, a refreshing herbal solution that revitalizes and relaxes the eye area. Simply place solution on a cosmetic pad, place over closed eyelid and allow to remain for 10 minutes. Ten ampules per box. Clarifying Clay Mask: SAVE 20% Especially helpful for blemished skin, this clarifying mask deeply cleans and invigorates facial skin and helps minimize the appearance of blemishes, redness, and enlarged pores. For a healthy balanced complexion, use regularly to calm the skin and encourage gentle natural exfoliation. This entry was posted in Home and tagged Clarifying Clay Mask, Cleansing Cream, Dr. Hauschka – Featured Brand, Eye Revive:, Facial Toner, Intensive Treatment for Menopausal Skin. Bookmark the permalink.